Amèdei Parmigiano™: The Biggest Cheerleading Competition in This Year is Coming!! The Biggest Cheerleading Competition in This Year is Coming!! 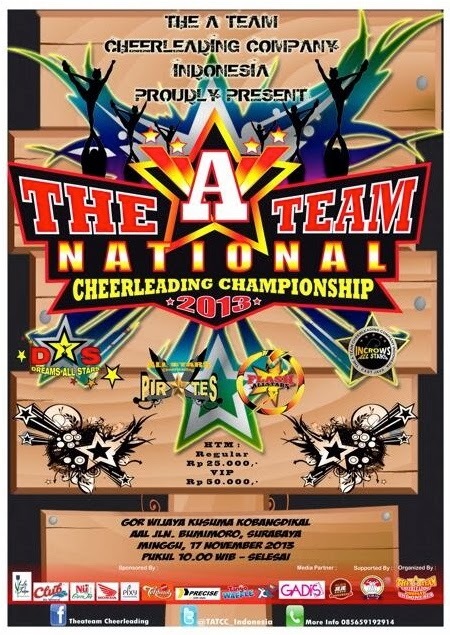 All of the winners of The A Team Cheerleading Cup in every region are goin to the final stage, in this "The A Team National Cheerleading Championship 2013" on November 17th 2013. Buat kamu yang berada di Surabaya dan sekitarnya yang tertarik untuk menonton this (superb-big) event, bisa lihat detail lokasi di poster diatas..